From scheduling doctor visits and picking up medications and DME, to finding a home health provider, dietician or physical therapist, freshly discharged patients need a range of services and support as they get themselves back to wellness and the activities of daily living. And the truth is, many of them require extra help to get there. That’s where an organization that is focused on managing post-acute care and the health of their population deploys two important services: care coordination and care management. And the more finely calibrated the two of these are, the greater an organization’s opportunity to keep patients on track toward healing and optimize their outcomes. Care Coordination is a knitting together of post-acute care needs and services across a wide variety of settings throughout the community - from arranging for home health or skilled nursing facility care, to connecting patients with mental health, financial assistance, or DME providers. Care coordination casts a wide net and is aimed at helping patients and their families navigate the complex web of the health care system and community services - from sequencing specialty visits to closing gaps in the patient’s social, emotional, educational, or end-of-care needs. 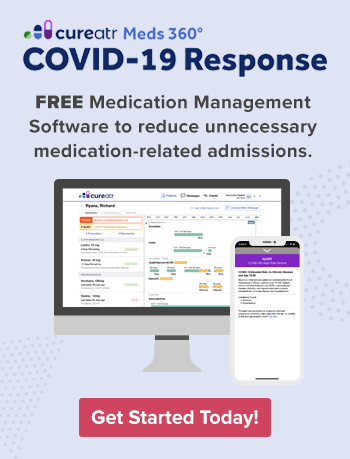 Care Management is largely clinical and focused on delivering high touch, post-acute care follow up, as well as helping patients properly manage their medications, chronic conditions, and care needs. Often delivered by nurses stationed at a hospital or a payor, care management is a team-based, patient-centered approach designed to proactively reach out to and/or use technology to monitor patients. Care managers work in collaboration with families or other support systems to manage each patient’s conditions and wellness more effectively. Why is effective care coordination so essential? Because many patients - weakened physically and emotionally from their hospital stay - don’t know where to start when it comes to figuring out our complex system. And many don’t have a family member or caregiver who does, either. That’s when care coordinators can step in to relieve their stress. When care coordination is efficient and effective, patients are directed to the right place or provider to get the right care, information, or treatment. When it’s not, patients go without or wait too long to access needed care or services - for example, they don’t get their DME or mental health screening. Or don’t receive financial assistance in time to obtain critical medications. Care coordination is a critical foundation for care management. Without ensuring that patients have been pointed to the right resources, your care management team may start their outreach at a disadvantage. For example, the care manager’s role may be to use telehealth or remote monitoring apps to monitor patients with diabetes. But if those patients can’t afford the glucose strips, haven’t received access to the app, or aren’t able to get to the pharmacy to pick up their medicines, the care manager won’t be effective until he or she pairs the patient with the resources to get these foundational steps done. Use standard forms, checklists, and resource guides and make sure all teams are using the same tools. Set communication standards with community physicians, long-term care providers, DME providers, and other community resources so that everyone has the same important information, collected and/or communicated in the same way. This should be a no brainer, but it often gets only partially done. Certainly you must train care coordinators how to complete their workflows and use the right resource lists, forms, and data systems. But great care coordination requires that your team members be able to also identify social determinants of health, build trust with patients, and be culturally sensitive and aware of how cultural differences impact a patient’s desire to use clinical resources or follow care instructions. That kind of training is ongoing and requires mentoring and role-playing. This requires budget allocation, but as Ben Franklin famously said, an investment in knowledge always pays great dividends. Patients and families are often confused about why they are being referred to a specialist or how to follow post-acute care instructions. 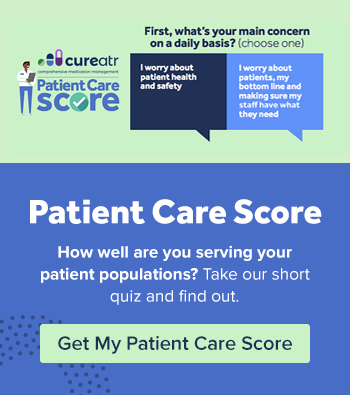 Great care coordinators are accountable for clearly explaining why they are connecting patients with each resource. The have an ability to listen and build relationships not only with patients but community providers as well. Electronic health record (EHR), population management, and integrated systems are essential to the care coordinator being an effective part of the team. ADT (admission, discharge, transfer) feeds and alerts, and secure messaging between care team members, enables them to efficiently receive and share patient information and coordinate services. Give your care coordination team access to technologies such as these and watch their efficiency go from good to great.